Huawei MediaPad T2 4G Phablet - CHAMPAGNE GOLD w cenie $110.99 | Chińskie kupony rabatowe, zniżki i okazje! Huawei MediaPad T2 4G Phablet – CHAMPAGNE GOLD! Teraz w promocyjnej cenie $110.99 Cena regularna to: $115.99, zaoszczędź i skorzystaj z kuponu na gearbest! 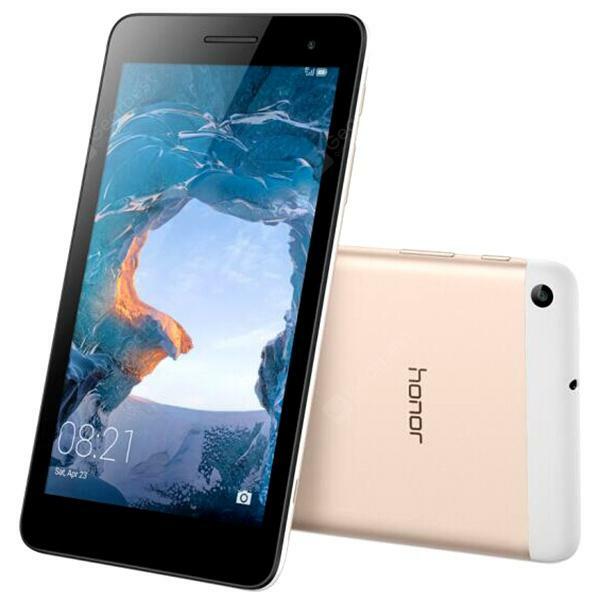 Huawei MediaPad T2 4G Phablet 7.0 inch is a perfect Phablet for your daily use. Equipped with a 7.0 inch 1024 x 600 touch screen, brings your photos and videos to life. Android 6.0 + EMUI 4.0 OS ensures you more wonderful user experience. Powered by Spreadtrum SC9830I Quad Core processor, offers you smooth operation and stable multitasking experience. 2.0MP camera for capturing memorable moments and high quality pictures in daily life. Featuring ARM Mali-400 GPU, all of this give gamers a full suite for gaming dominance and offer gamers a truly seamless gaming experience. Dual band 2.4GHz / 5.0GHz WiFi supported, ensures you high-speed surfing.